A couple of days ago me and my friend Alexandra (also known as Pallah) went on a little skatedate, she on longboard, and myself on roller skates. We mostly rolled around in a circle, chatting, and getting used to skating as neither of us has much skating experience. I found that using T-stops on asphalt were harder than on the stone-ish floor I’ve been skating on during my late night skating sessions. It also felt like the asphalt were ruining my wheels a lot more than the stone floor. I still had a lot of fun, and even dared to try doing some crossovers. Well, they weren’t exactly full crossovers, but something like it at least. And each time I skate, I notice the time it takes for me to be comfortable on them diminishes. Soon I’ll get on my skates and zoom around immediately, without that little period of flailing arms and fear of falling. 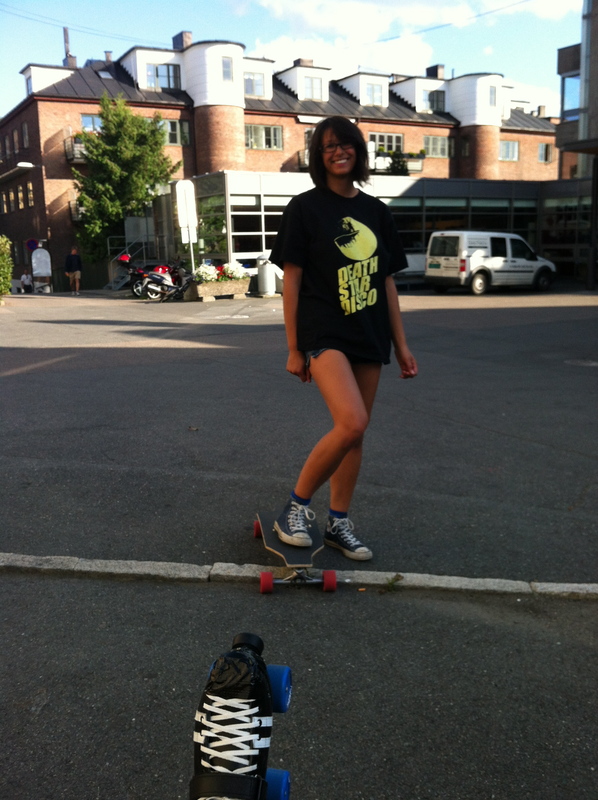 I would love to do some more skate dates, but now I’m back in Trondheim, and my dear Pallah is in Oslo. I have, however, switched wheels to my red tuners, and tried to skate around in my apartment. That felt great, and for now as a newbie, I felt more secure on those wheels as they are broader. 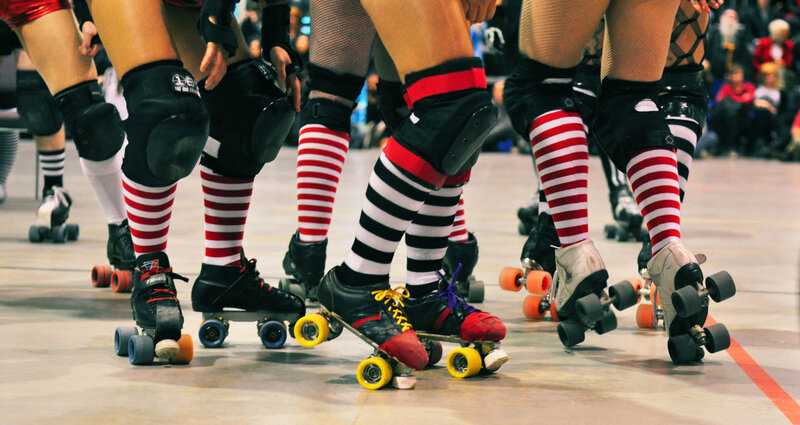 In two weeks my derby adventure will start for real, with a fresh meat bootcamp to kickstart the season. I cannot wait! Cutiepie Pallah on her longboard, with my skate at the bottom of the picture.